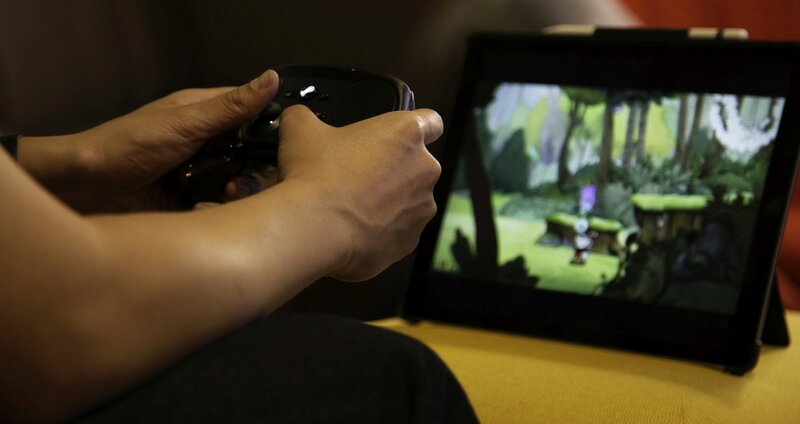 Next week, Valve is launching a "Steam Link" app for iOS and tvOS, allowing users in the Apple ecosystem to play Steam games streamed from a host Mac/PC (using either a 5GHz network or a wired Ethernet connection) onto an iPhone, iPad, or Apple TV. In advance of the app's launch, our sister site TouchArcade got the chance to go hands-on with Steam Link and came away entirely impressed by the quality of gaming that can come out of Valve's app. TouchArcade reports that Steam Link works so well that it "feels like there's some kind of actual wizardry powering it all," and once it's set up (a "simple" process) the app is essentially the same as using a physical Steam Link hardware box or Steam's Big Picture mode. The app doesn't just stream in-game content, but allows gamers to browse the Steam marketplace, purchase games, check their friend lists, play PC exclusive titles, sell things, and more. "There are no corners cut anywhere, it's the complete experience," TouchArcade says. In the end, the site crowned Steam Link as the current "killer app" for Apple devices. Overall, I have constantly found myself completely blown away by how well the Steam Link app works. If you have a gaming PC in your house, and an iPad or Apple TV, I do not think it is at all hyperbole to say that this is the killer app for iOS devices. If you're the kind of person who is always hungry for "real" PC-like game experiences on your Apple device, but have been dismayed by the amount of junk on the App Store, you can basically delete everything else but the Steam Link app. I'm still dumbfounded by Apple apparently allowing this on their platform, as I could see a very real situation where many people just straight up stop buying things from the App Store and exclusively purchase Steam games through Valve instead. There are a ton of more details to read in TouchArcade's coverage for Steam Link, including tidbits about stream quality, Steam/MFi controller use, the lack of potential for cellular gameplay, and more. To read the full coverage, follow this link: 'Steam Link' App Hands-On Preview - The iOS and Apple TV Killer App Doesn't Even Play Games from Apple's Ecosystem. Steam Link is launching today for Android devices, while a launch for iOS and tvOS should be sometime next week, pending further approval from Apple. Please don't jinx it and have Apple block its approval... this is going to be great. It sounds good but I still can't figure out why I need it. If you need to stream a Steam game from a host computer over Wifi, why not just play the game on the host computer instead of on an IOS device ? ...so you can play while you poop. The Xbox app on my Microsoft Surface similarly allows me to play Xbox games in a different part of the house than where my Xbox is connected. But I quickly found it was not worth using. You've got to have a blazing fast and absolutely perfect WiFi link to make it work reasonably well, and even then, you will have occasional dropouts and glitches that will completely ruin any fast-pace racing or first person shooter games. Pretty much Ethernet is your only option. At that point, being constrained to the house AND to a cable defeats the purpose of this whole thing except maybe in certain edge cases. For those reasons, I haven't tried using it for some time. This solution is even worse in that you have to have a powerful gaming PC to use it. Well, I don't have one (and don't want to mess with the cost and effort to own and maintain one). I do have an iPad Pro with a powerful CPU and GPU that, unfortunately, can't be taken full advantage of to play console-quality games (with a few exceptions) because the App Store is a wasteland of pay-to-play shallow games, and physical controllers are not well supported. You can either use a controller that is connected to the computer if it's close enough (including wireless ones, such as the Steam Controller) or a MFi controller connected to the Apple TV (e.g. Nimbus gamepad). Just a heads up for anyone that has a Steam Controller, it can pair directly to an iOS device while using the Steam Link app with a firmware update that adds Bluetooth support. Of course it is not MFi so it will not work seamlessly with other apps on iOS. "I do not think it is at all hyperbole to say that this is the killer app for iOS devices." Finally, just the break Apple needs. They're sure to sell millions of them. If you need a host PC/Mac, I don’t see the benefit of it. Streaming games from the cloud would be something I would consider a ‘killer app’ at least for the Apple TV. This looks fantastic! Looking forward to it. Quick download the app before it's too late.